Romantic, yet business casual. 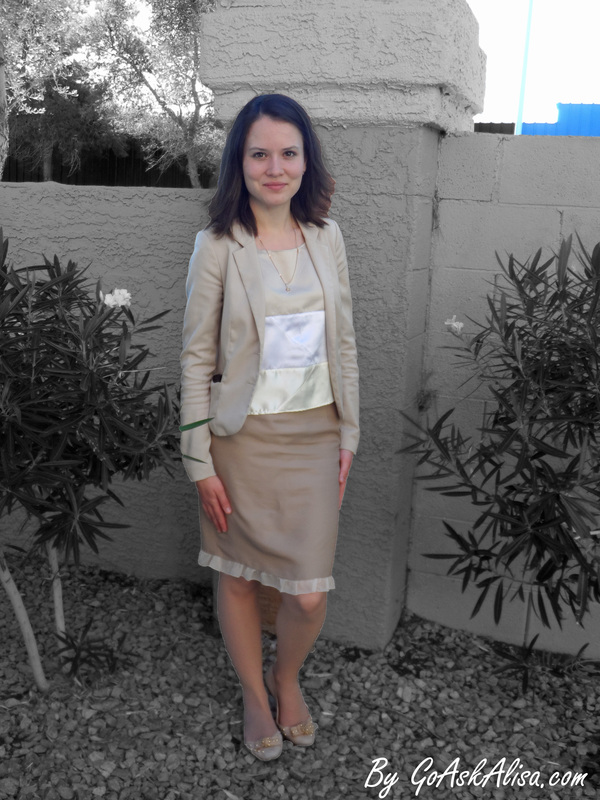 Sewing and designing – Go ask Alisa – DIY capsule wardrobe one stitch at a time! 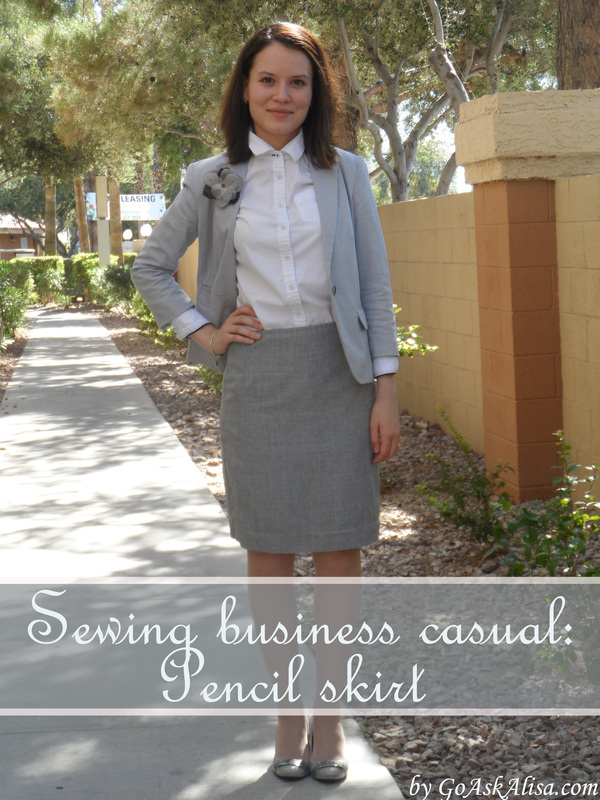 As much as I love sewing for work, I must admit: there is not that much room left where to stretch business casual. My dress code at work is rather business than casual, and that is a limitation on its own. Not much changed is business world in terms of clothing through past couple of decades, and I really doubt it will change much in future. That does not mean that we can’t have fun, right? A bit of dreaminess in the strict business world can make you feel unique and outside of the box. 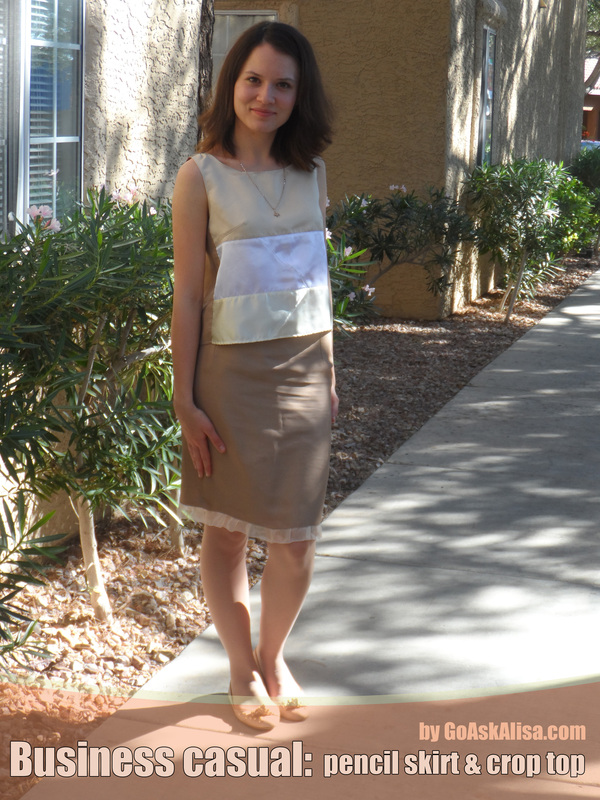 This time I had a goal: to make a skirt that would make a good pair for this Cappuccino crop top. I wanted something work appropriate, but still interesting with a touch of personal attitude. I came up with this really simple, but somehow very special skirt, at least to me. As far as sewing goes it is pretty straight forward. For those who are just beginning to discover joy of creating clothing pencil skirt is an absolute must. Burda’s pattern is very good and personally me it fits wonderfully, I don’t need to make any adjustments. You can use this pattern for a future designs as well, it provides the shape and basic dart that are necessary no matter what design it is. As and addition I added belt loops, and a chiffon ruffle on the bottom. There is an invisible zipper, as well. 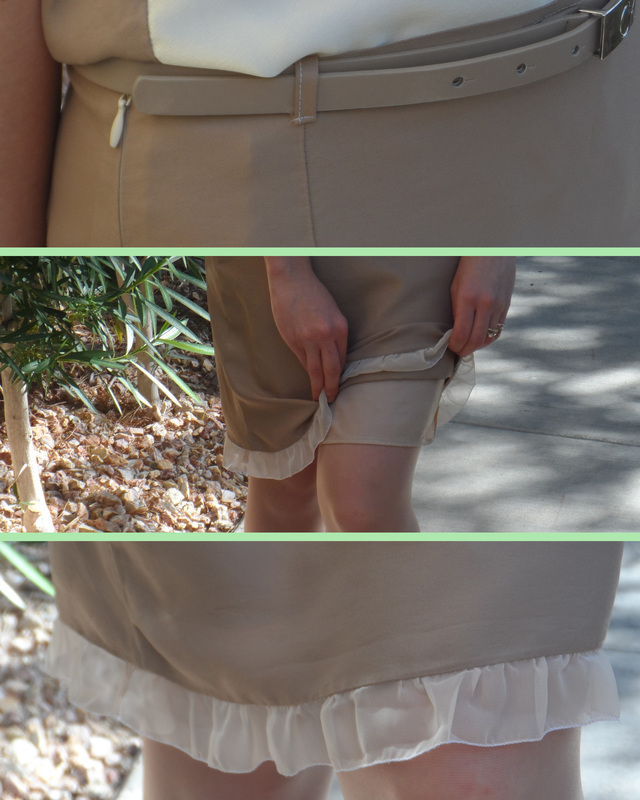 Over here you can see some of the details of the skirt: invisible zipper, lining, ruffle and belt loops. Next Next post: Sewing Monday: skinny pants, wrap blouse, fabulous heels!